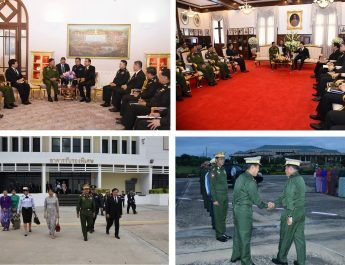 Commander-in-Chief of Defence Services Senior General Min Aung Hlaing, accompanied by Commander-in-Chief (Navy)Admiral Tin Aung San, Commander-in-Chief (Air) General Maung Maung Kyaw,senior military officers from the Office of the Commander-in-Chief (Army), Commander of Nay Pyi Taw Command Maj-Gen Myint Maw and officials, this morning went to Gainghtauk Monastery in Ela of Lewe Township in Nay Pyi Taw Council Area and paid homage to the remains of lifelong Gainghtauk Abbot Bhaddanta Kovida. 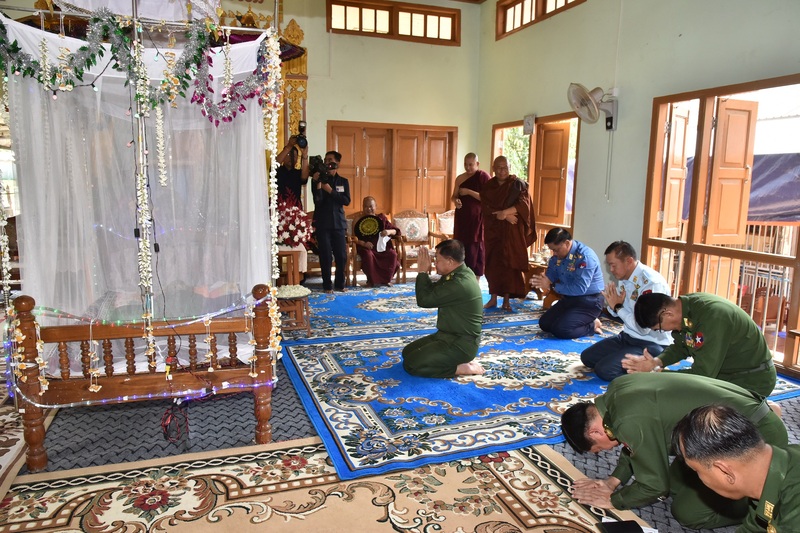 First, the Senior General and party paid homage to the remains of lifelong Gainghtauk abbot kept at Sasana Wukdi Withawdani Ordination Hall. 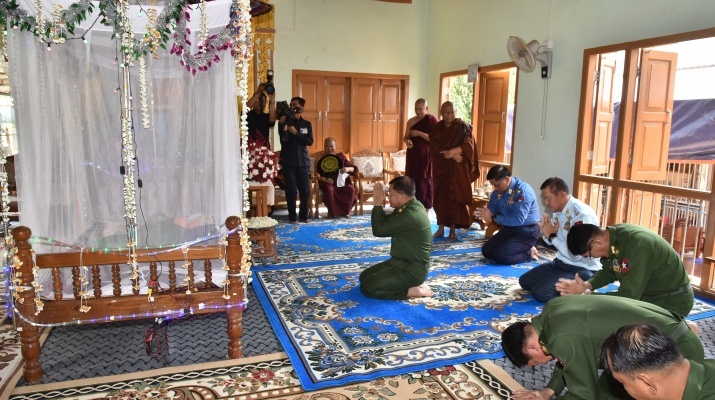 The Senior General and party paid obeisance to abbot of the monastery Bhaddanta Ñanissara who explained arrangements have been made to successfully hold the fi nal rites of the demised abbot. The Senior General supplicated on necessary affairs. 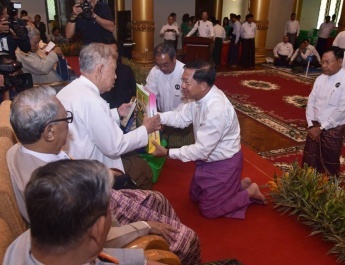 The Senior General donated cash to be spent on successfully holding the final rites and alms and senior military officers, offerings to members of the Sangha. 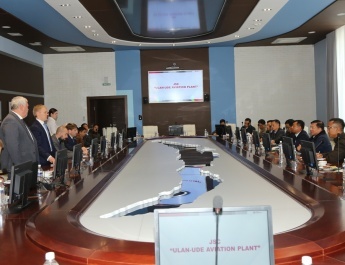 After paying homage to the remains, the Senior General and party gave instructions and fulfilled the requirements of officials in order to successfully hold the final rites. The lifelong abbot of Gainghtauk monastery, aged 100 and 80 vasa, passed away on 10 March this year.The final rites of the abbot will take place on 16 March.